A contemporary ring with an antique flavor. Slightly domed open filigree tapers to a solid shank. 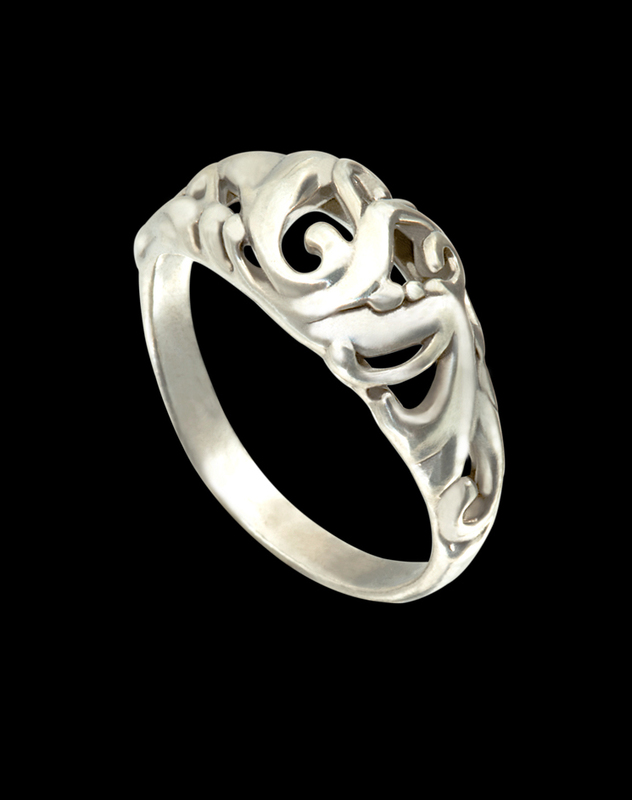 This ring is a perfect match with either the filigree ball or hoop earrings. Ring shown is sterling silver.